This is my latest book seeking to help people who find themselves diagnosed with cancer – as with my other books the time to read them is before you get cancer. Health Hunter wrote: Don’t panic! Don’t panic! 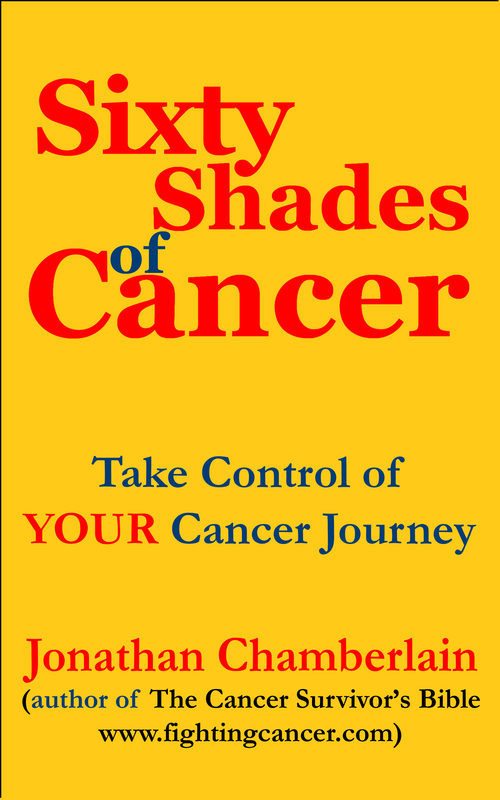 All Jonathan Chamberlain’s books are well worth reading for anyone who has concerns about cancer but this little production may be the one to read first as in it Chamberlain strives to calm the sense of panic a cancer diagnosis generates and focus the “victim” or concerned loved one on the practical moves to make other than just accepting the “expert” advice. For most people this may seem weird but read this and you will have scales lifted from your eyes by a man who has suffered with his late wife from NOT having access to the information he has subsequently uncovered. I have just been having a discussion with some women who are in various stages of remission from cervical cancer. All of them opted for conventional methods and were very happy that they had done so. Mainly they were those who had not been seriously affected by their radiation treatment (but as we know radiation damage may not manifest itself for many years – even decades. Sceptics will often say: That’s just anecdotal. It proves nothing. My response to this line of argument is to agree it is not proof. But it is a sign-post. It is a guide. As long as it is not too bizarre, or too expensive then I would definitely advise anyone in need of help to do the same.